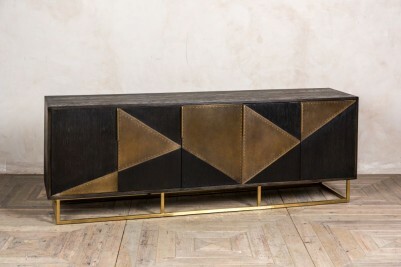 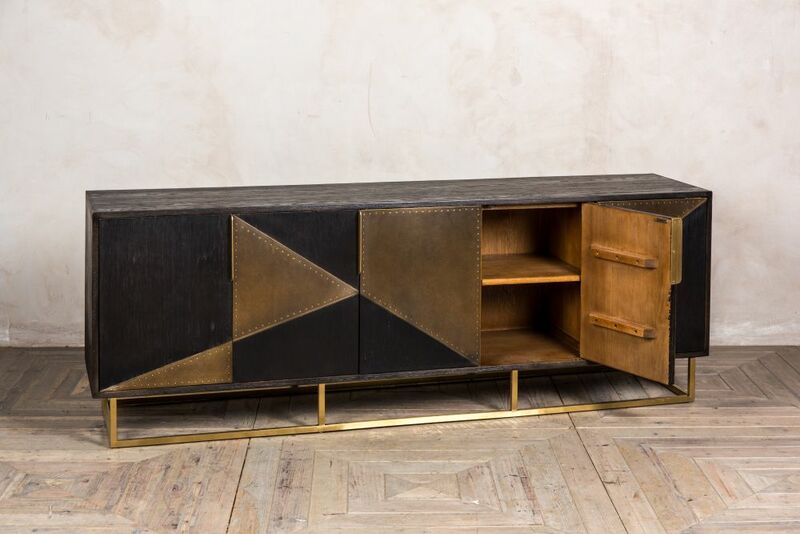 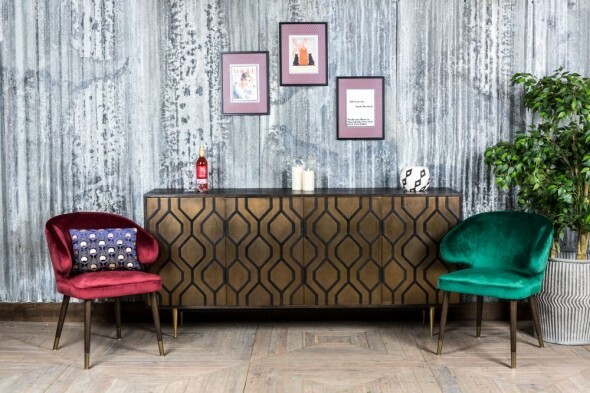 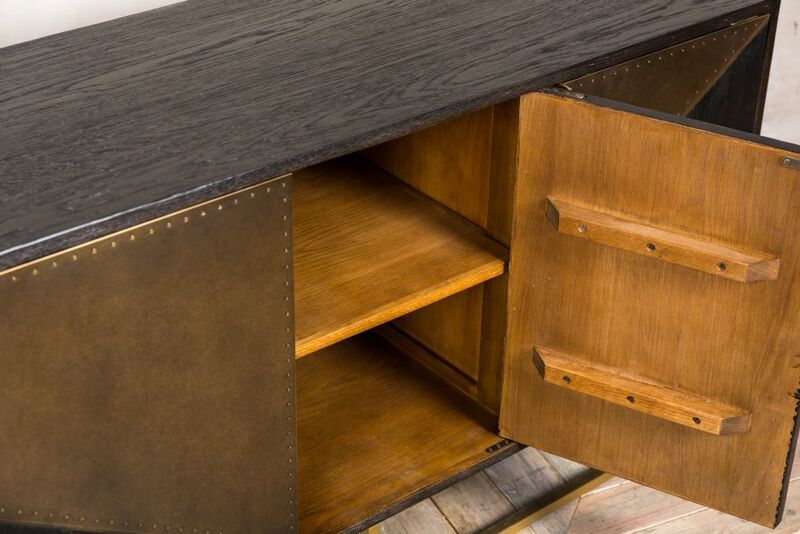 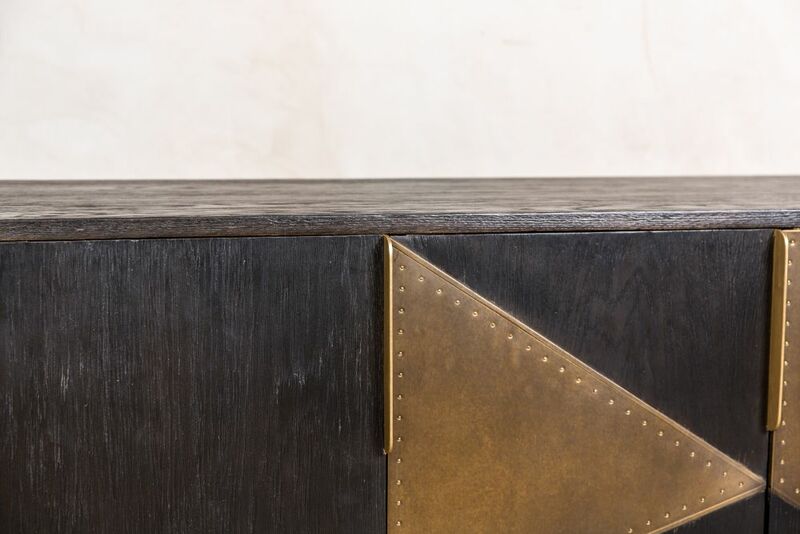 Bring style and storage to your space with the ‘Northcliffe’ mid-century modern sideboard. 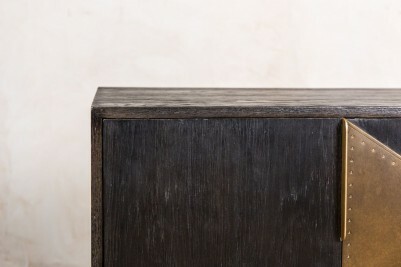 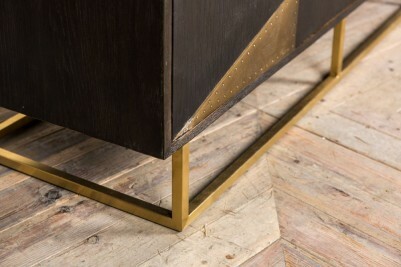 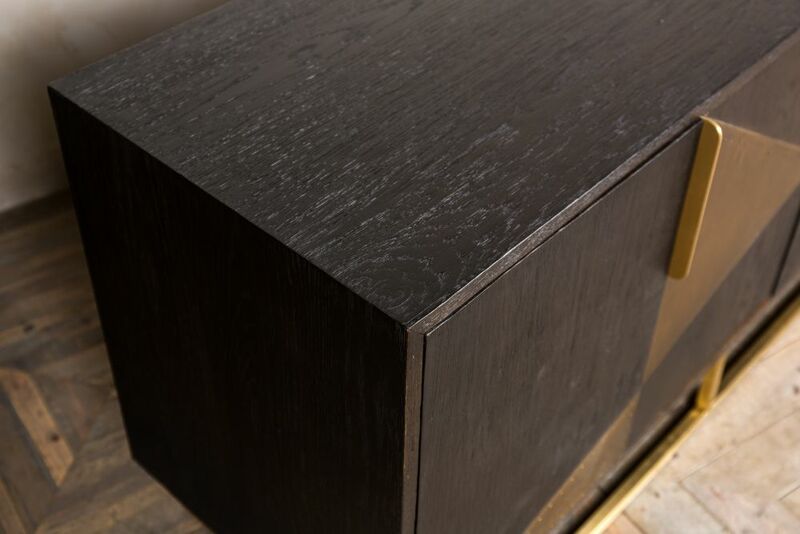 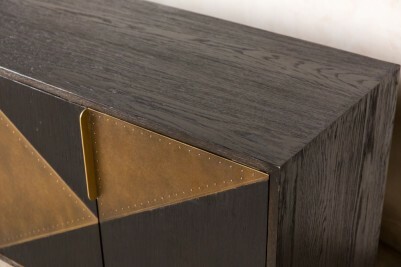 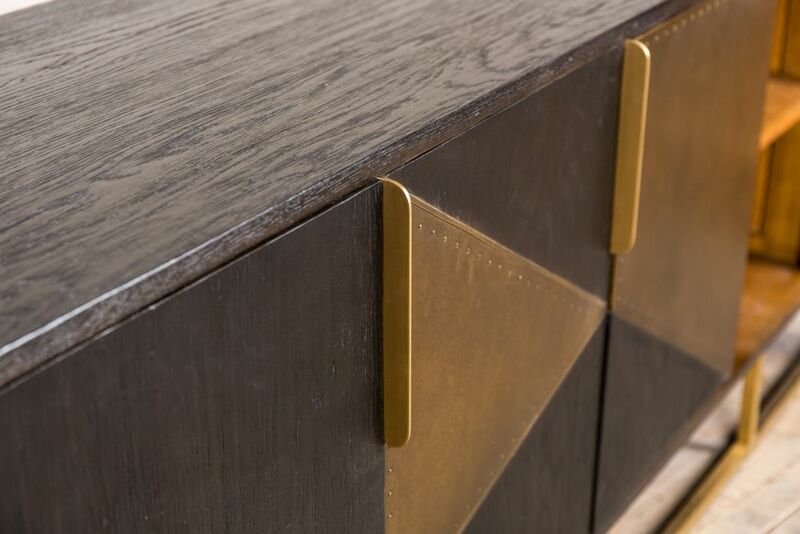 The ‘Northcliffe’ has an aged oak exterior, brass and aged oak panels, and a brushed brass base. 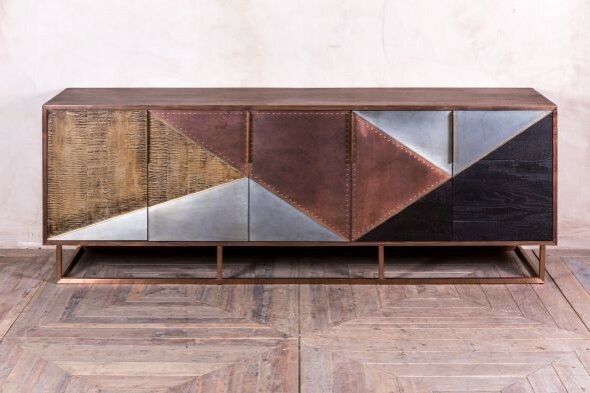 The sideboard provides ample storage, which would be ideal for either a domestic or commercial interior. 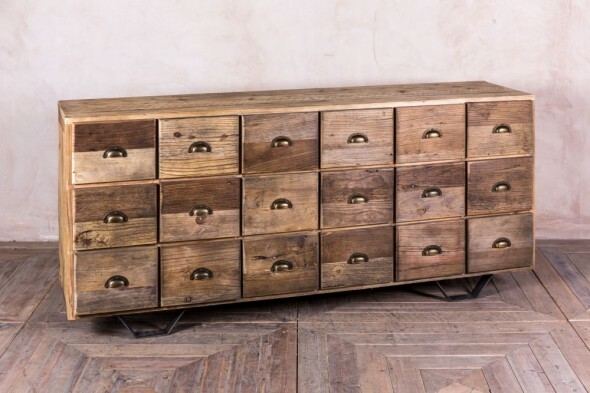 The ‘Northcliffe’ would be perfect for storing crockery and table wear in a dining room. It would pair well with our X-frame bookshelf or ‘St. Omer’ dining table. 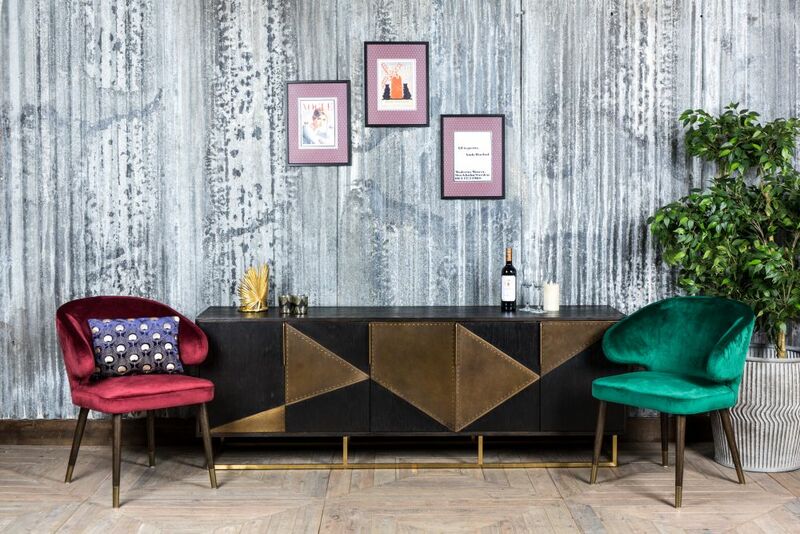 The decorative items pictured are not included in the price, but the ‘Lorient’ chairs can be purchased separately.